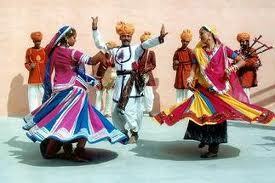 Gogamedi Fair Festival is Starts on August anding and End to Spaetember anding. Gogamedi Fair is an annual fair for selling village crop, livestock, and handicrafts, which is held in the Ganganagar district of Rajasthan. There are also various singing and dancing events that are held in this fair. 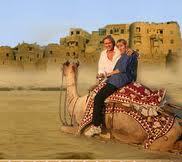 Moreover, this occasion is also considered an ideal time to arrange matches for eligible girls and boys. In this fair organised cattle fair in which includes camels, Buffalo’s, cow and other animal for trade and handicraft, utensil and food shops etc. also part of this fair. People goes to see the fair and enjoy with singing & dancing. 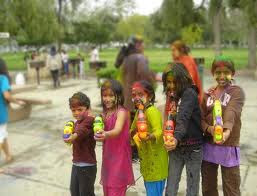 It is auspicious time for matches boys and girls by the local folk.Gogamedi Fair has a great cultural significance. It is actually held to commemorate the regional hero, Goga Veer. 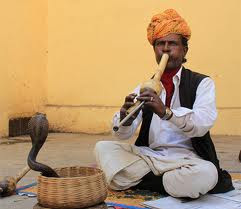 Goga is regarded as the snake God and this fair is the result of participation of almost every household. 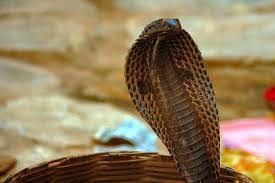 The fair has a great religious significance as it is believed that a snake bite can be treated by chanting the name of the snake God. 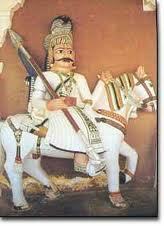 Gogaji is a folk deity of the Jat community in Rajasthan. He is a snake god and is considered very pious. People from this region believe that snake bites can be cured by chanting his name. The locals also believe that all diseases can be cured by visiting Gogaji’s shrine. The 'samadhi' is a marble structure with two minarets and fortified by a boundary wall. The idol of Gogaji is seated on a blue horse with a snake coiled around the neck. An inscription in Persian can be seen at the main entrance, which describes Mahmud Ghazni's regard for Gogaji. He had arranged for the renovation of the memorial as a token of gratitude when his wish was fulfilled. The main mode of worship is rubbing incense at the samadhi. Offerings of coconuts, 'batashas' (sugar drops) and cash are made at the samadhi. Priests are engaged by the devout for conducting special prayers in which praises of Gogaji are sung. The atmosphere inside the hall is serene and sanctified. Fragrance and incense heighten the feeling of purity and devotion. Every year this fair is frequented by a sea of devotees who pay homage to Gogaji’s memorial, which is built entirely from white marble. 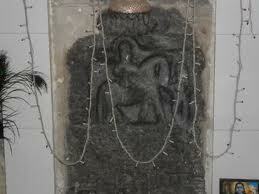 It is believed that Gogaji went into a state of Samadhi once his time on Earth was done. He is venerated as a saint by both Hindus and Muslims in this region. On the entrance to this memorial, you can find inscriptions which talk in detail about the respect that Mahmud of Ghazni held for Gogaji. Gogamedi fair lasts for three days and every household in and around the region participates in it. 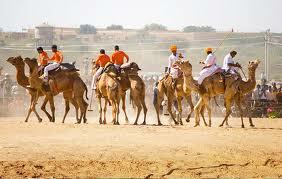 During the fair, people sell livestock, crops, goods and even Rajasthani handicrafts. If you’re a shopaholic, you’ll surely be delighted by the variety of handicrafts that is put up on sale here. The Nath priests who carry whips in their hands stand out in the crowd, and the whips that they carry resemble the one found in the idol of Gogaji. You can merge as one with the lively and enthusiastic atmosphere, with people singing and dancing to the drum beats and gongs, with multi-colored flags in their hands. The Gogamedi Fair is witnessed by a significant number of tourists who come exclusively to catch a glimpse of Rajasthani traditions, enjoying foot tapping music, dance and culture. If a cultural experience coupled with oodles of fun is what you’re looking for, the Gogamedi Fair is the right place to be.